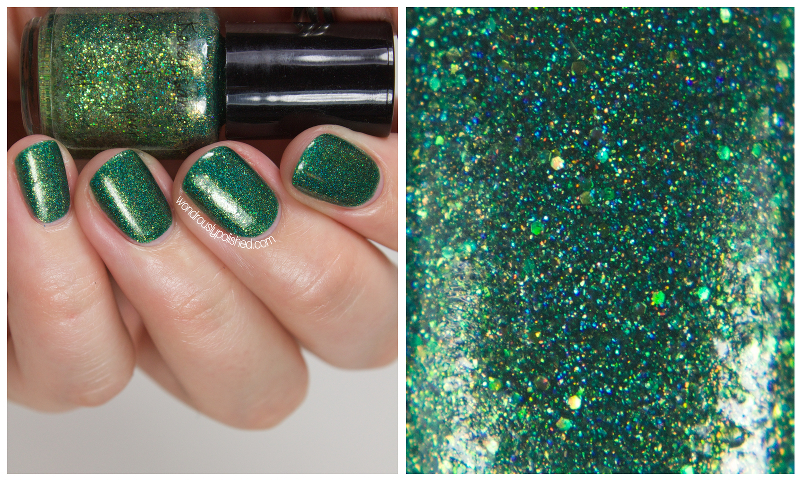 Wondrously Polished: Renaissance Custom Lacquer - Swatches & Review + Discount Code! Renaissance Custom Lacquer - Swatches & Review + Discount Code! Hello, all! 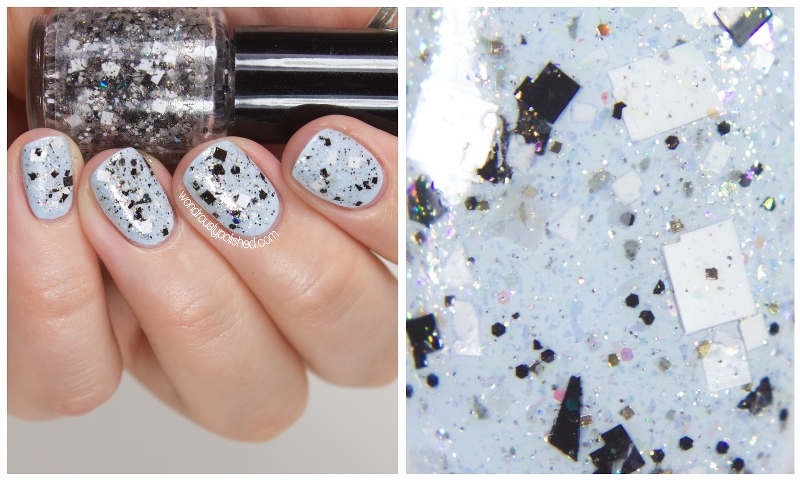 I have some exciting new polishes to share with you today! Meghan of Renaissance Cosmetics has come out when a beautiful new collection that makes me weak in the knees. Seriously, there are some stunners in this collection. Wunderkrammers, or Cabinets of Curiosities, were essentially tiny museums that displayed all sorts of items - plants, minerals, art, etc - that inspired wonder in their audience. This concept inspired the Wunderkrammer collection as nail polish is often awe-inspiring and wondrous. 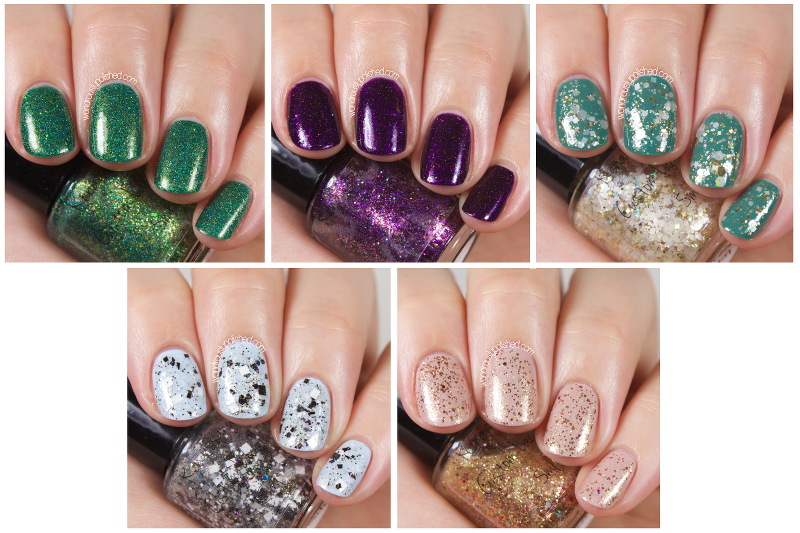 This collection is made up of two full coverage polishes and three glitter toppers. HOLY WOW! Seriously, this was the first polish I applied and I was blown away. I can't. Even. Handle. It. 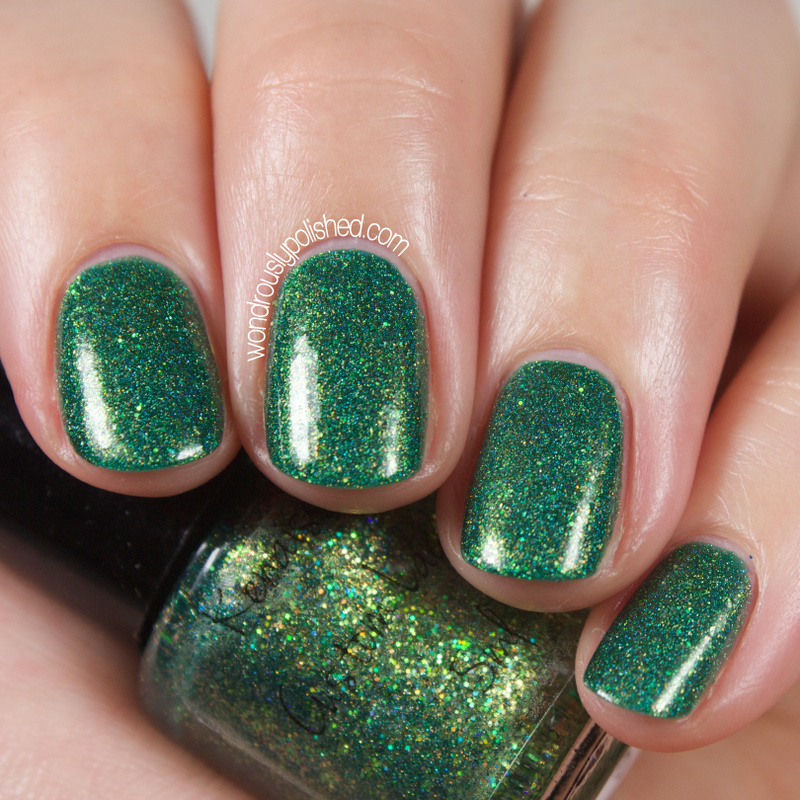 Emerald Envy is a stunning green holo polish packed with gold and green glitter. It's seriously beautiful and I don't have anything like it. If you're a green lover this is now a necessity for your collection. This is 2 coats, but could have easily been a one coater if you tried. It had an excellent formula and was very smooth to apply. 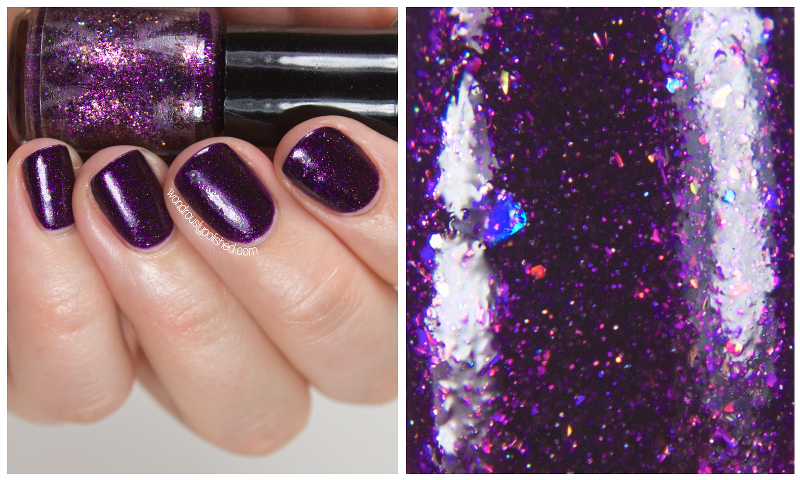 Enamoured is the other full coverage polish of this collection and it is a beautiful royal purple crelly with gold shimmer and iridescent flakes. Shown is 2 coats and application was a breeze. 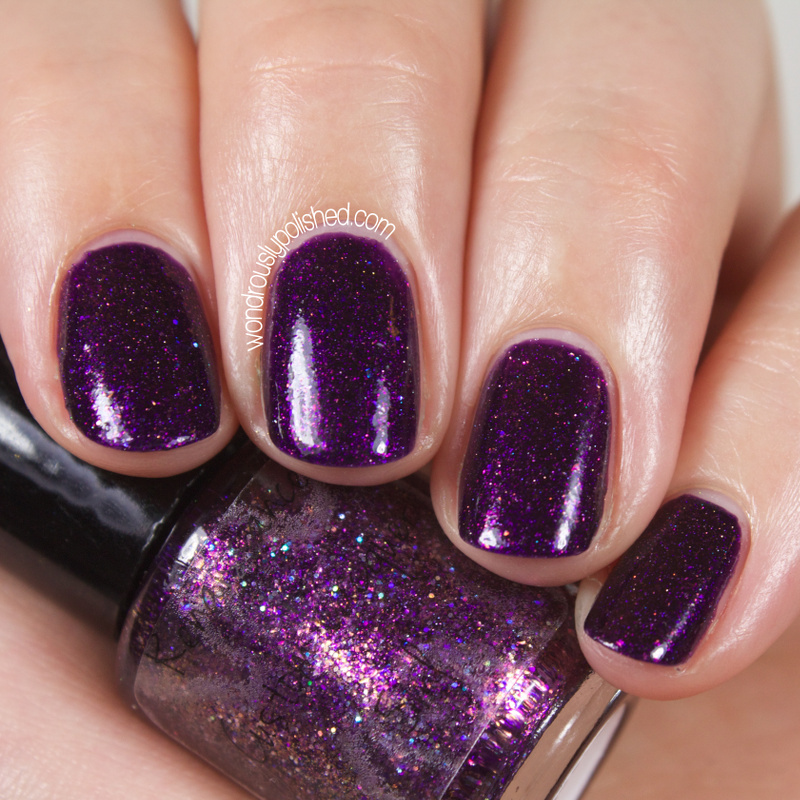 This is a beautiful shade with tons of dimension due to the combo of glitters. The flakies might cause some rough bits but nothing a good top coat can't fix. 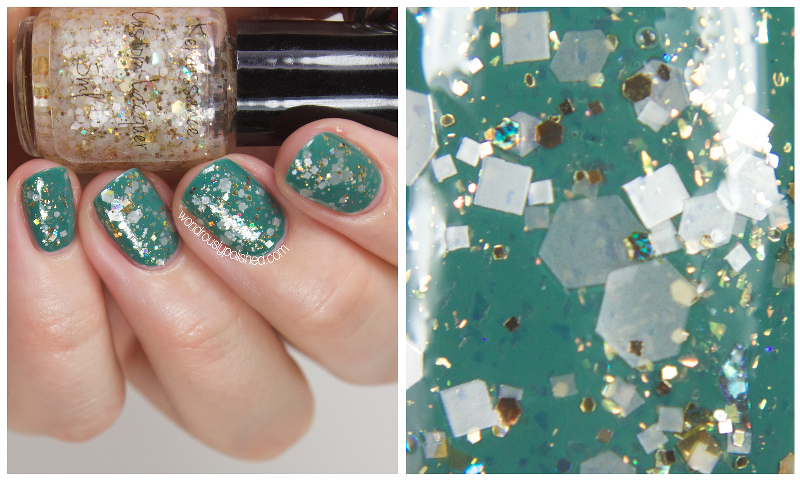 Porcelain Dream is one of the glitter toppers of the collection. It's a lovely white and gold glitter that would look phenomenal over almost any polish. Shown is 1 coat over Zoya's Alexa and the application was very smooth. Since this is packed full of glitter, there was no fishing, which I always appreciate. I quite like Curio/Curiosity. 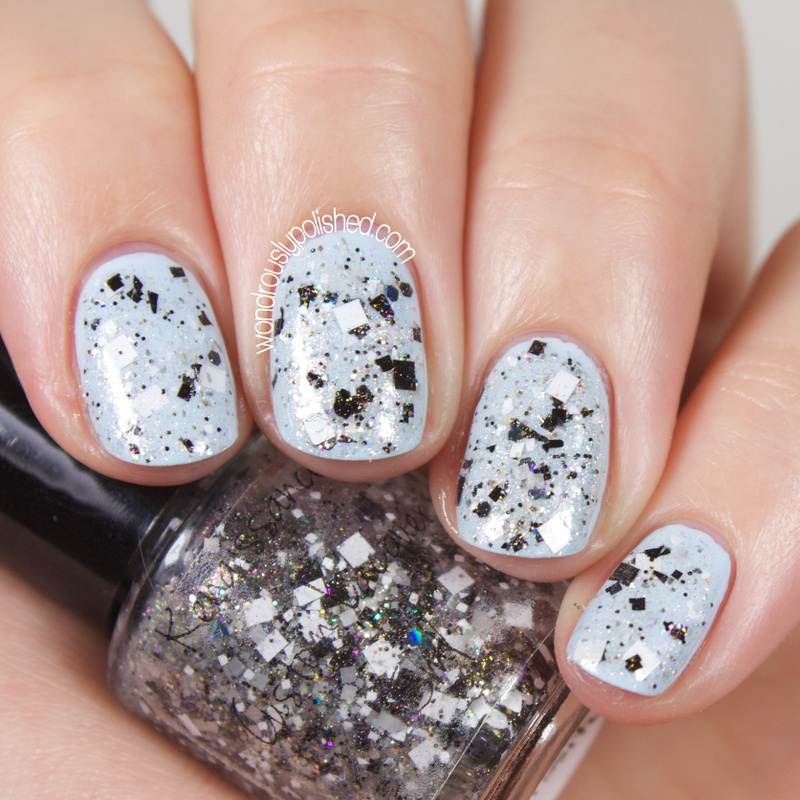 It's a black and white glitter topper made up of square, shard, holo, and iridescent glitters. This is another one that could work over almost any polish and the formula was really easy to work with. This was 1-2 coats over Zoya's Blu and I wore this around for a few days because I enjoyed this combination so much. This did require some glitter placement for the larger squares, but it was all done with the polish brush and all around easy to use. 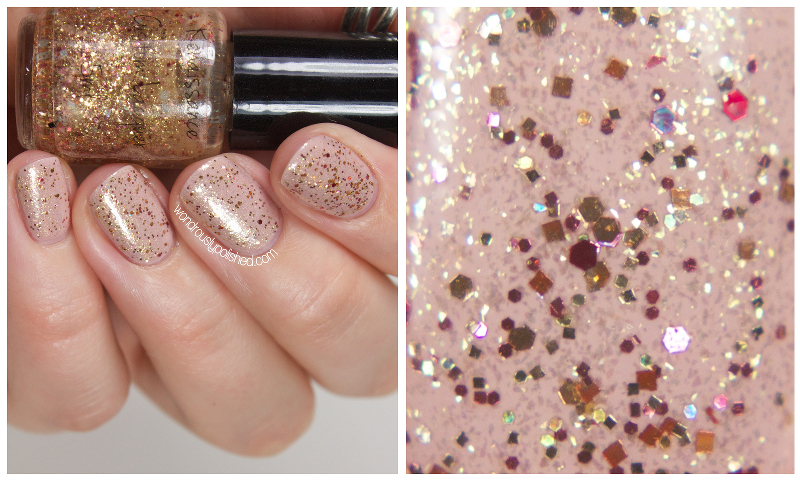 Gilded Pleasure is mostly tiny gold glitters intermixed with pink and blue glitter. The blue glitter was somewhat elusive for me when I was swatching this, but larger glitter tends to do that. If you really want the blue, you can fish them out and enjoy :) I've shown 1 coat of Gilded Pleasure over Zoya's Kennedy. This is a really pretty and feminine polish if you pair it with a soft pink/lavender shade, but I could see this being a really firey and vibrant polish if you paired it with a black or red/orange. Very versatile. Once again, great formula. I love this collection! While I'm still waiting for Meghan to make some awesome cremes (I mean, I just love my cremes! ), this is a really strong collection that isn't overly seasonal, which I appreciate. This is definitely what "indie" nail polish is all about - making beautiful polishes that are unique and inspired. My favorites from this would have to be Emerald Envy and Curio/Curiosity, though all of them are incredibly wearable. One special thing to share! If you order before by June 5th (11:59pm est), you can use the code wondrously15 for 15% off of your order. It's valid once per person and is a great time to try out some Renaissance Polishes if you've yet to do so. You can buy all these polishes now from Renaissance Cosmetics for $9.50/bottle. Be sure to follow Renaissance Lacquer on Instagram and Facebook for all the latest info and promos! What do you think of these polishes? Any of them strike your fancy?